Some eight years ago, violent conflict broke out in Nigeria when Boko Haram, a terrorist organization, began to attack innocent civilians with increasing regularity. The violence and insecurity has worsened during the last four or so years. Having crossed borders and entered neighboring countries, the ongoing conflict has forced millions from their homes and caused a severe food crisis. Apart from the conflict, extreme poverty and drought have exacerbated the situation. In the heart of the emergency lies the Lake Chad Basin region, which includes Nigeria, Cameroon, Chad, and Niger. For several years now, the region has faced a large-scale humanitarian crisis. The scope of suffering is unfathomable, and needs remain enormous. A staggering 17 million people live in the affected areas; some 11 million of whom are in need of humanitarian assistance, and 2.3 million have fled their homes. The vast majority of displaced people have found temporary refuge in some of the world’s poorest communities, and the influx of people has strained already limited resources. 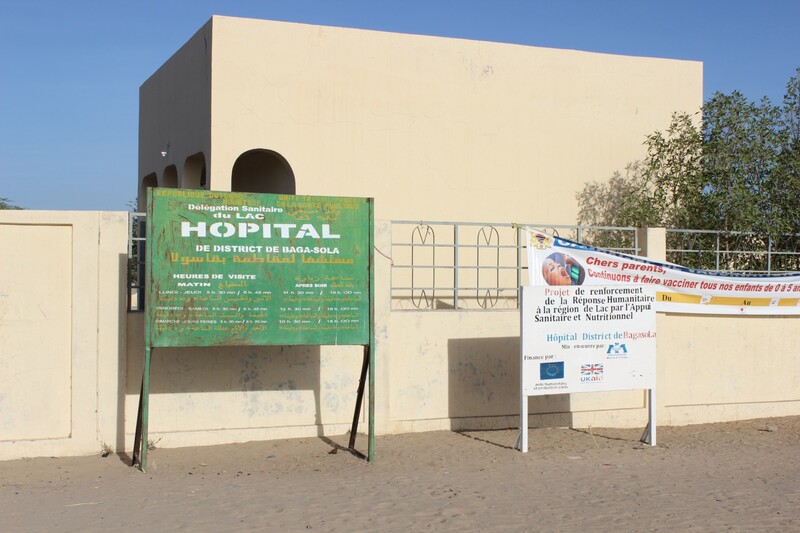 With funding from the European Civil Protection and Humanitarian Aid Operations (ECHO), International Medical Corps supports several health centers and mobile clinics as well as one hospital in the region. The facilities provide primary health care and malnutrition treatment. International Medical Corps also provides community outreach activities and training for hospital staff. During one of our team’s visits to the hospital in November 2017, they met 11-year-old Mbodou and his father. The family is originally from a village near the Nigerian boarder. Having fled the violence of Boko Haram, the family now lives at a displaced persons settlement near the hospital. Mbodou’s father works in the fields to provide for his family, which includes 12 children. 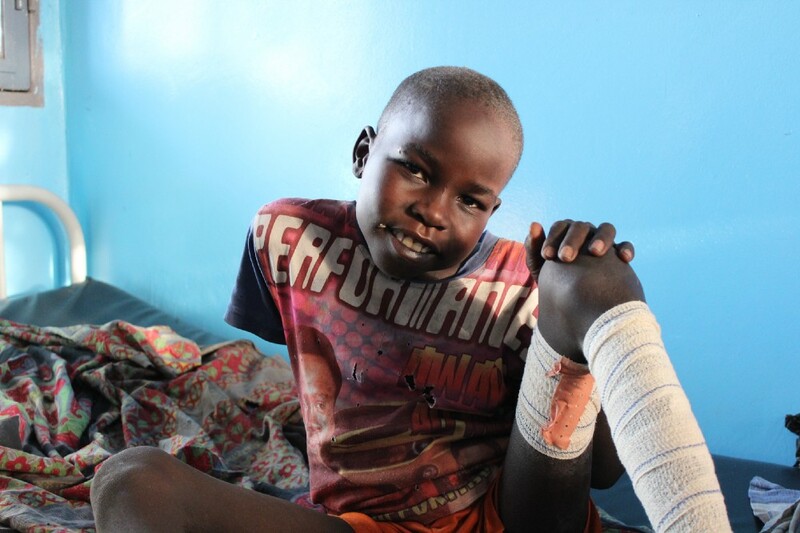 When the team met him, Mbodou was still receiving care at a special hospital ward shared with eight other patients. Recently he suffered an injury to his leg. As it took place late at night, the family remains unsure what exactly happened but suspect that Mbodou was stung or bitten by a snake. Hoping and praying the young boy would get better, Mbodou’s family did not seek medical assistance immediately. When they arrived at a medical clinic several days later, medical professionals determined that the wound was severely infected, and Mbodou was immediately transferred to the hospital in Baga Sola. For two weeks, the young boy was treated in a special ward for those with infectious diseases. He had only just been moved to a more open ward when our team sat with him to have a chat. Mbodou is a lively boy. He smiles and waves as he tries to get our team’s attention. Mbodou says he feels a lot better now; his leg does not hurt any longer. In less than a week, he will be discharged and start school, the same one his sister attends, he adds. As our team was saying their goodbyes, Mbodou and his father wanted to express their thanks the doctors and nurses at the hospital. The treatment is likely to have saved the young boy. Life can now return to a relative normal. 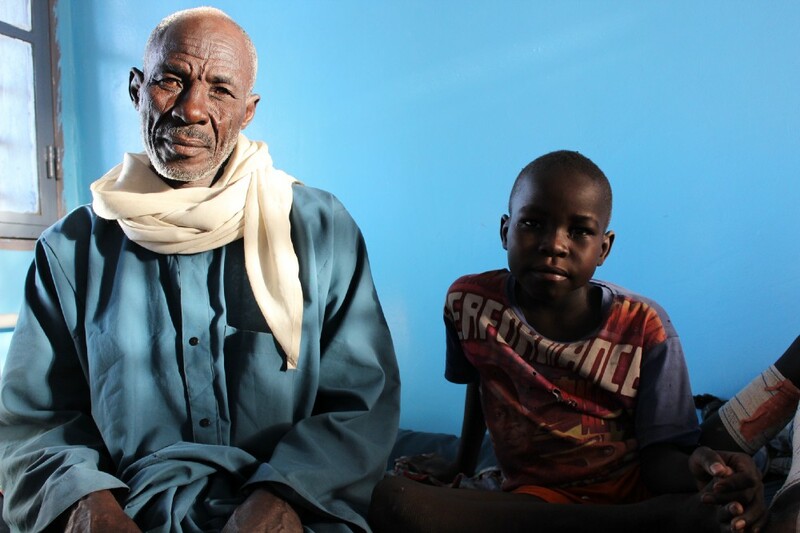 Mbodou’s family has decided to stay in the close-by village where they recently settled. They still lack adequate food but are safer and healthier than before. Mbodou’s father was recently elected Village Leader, and the children can attend school. Amid hardship, today is a good day — the young boy is healthy, and his family safe from shelling and violence.